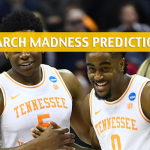 The Tennessee Volunteers got a big scare in the first round, as they were put on an unexpected acid test by the Colgate Raiders. 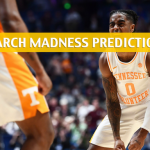 Now that that’s behind them, the Vols will look to sustain their momentum, as they take on the Iowa Hawkeyes, who will look to win their second game in a row in March Madness as an underdog. 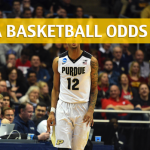 See the latest odds for Iowa, Tennessee, and other teams to win the national title this year here. 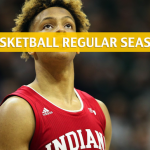 The Hawkeyes passed the test in the first round, and in the process scored an upset victory by downing the Cincinnati Bearcats, 79-72. Luka Garza did most of the heavy lifting for Iowa, as he scored 20 points on 8-for-11 shooting from the field. He also grabbed seven rebounds and hit a pair of 3-pointers. The outside shooting was excellent for Iowa overall, as the Hawkeyes went 11-for-22 from deep. Freshman guard Joe Wieskamp nailed four 3-pointers. He’s a nice asset for Iowa, mostly for his ability to stretch the floor with his shooting. Wieskamp hit 54 3-pointers in the regular season on 42.2 percent accuracy. 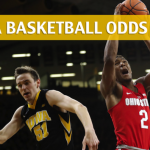 However, if Iowa wants to fight fire with fire in the Tennessee game, the Hawkeyes will need Tyler Cook to recover from a poor five-point performance against Cincinnati. Cook is the Hawkeyes’ leading scorer with the junior averaging 14.9 points per game in the regular season. As a team, Iowa was 40th in the regular season with 78.3 points per game. The under is 2-1 in Iowa’s last three games. 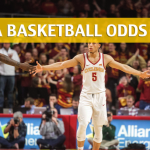 In addition, Iowa is 14-20 against the spread (ATS) overall this season, and is 11-10-1 ATS after a win, covering 52.4% of the time. The Volunteers topped their first-round assignment and finished with flashing their pearly whites, beating the Colgate Riders, 77-70. The Riders gave Tennessee a run for its own money, especially in the second half in which they even outscored the Vols, 40-35. But Admiral Schofield was not one to allow Tennessee go down that easily. Schofield put up 19 points, including some much-needed clutch baskets. SEC leading scorer Grant Williams, however, was some sort of a missing man, as he only had nine points. The Vols need Williams to be get aggressive, as they didn’t get this far without his scoring prowess. Williams only got six shots in the Colgate game, so expect him to get more and start aggressively looking for scoring opportunities against Iowa. Williams averaged 19.0 points per game prior to the postseason, while Schofield was right behind him with 16.2 per contest. Tennessee was ninth in the regular season with 81.7 points per game and fourth with a 49.5 field goal percentage. 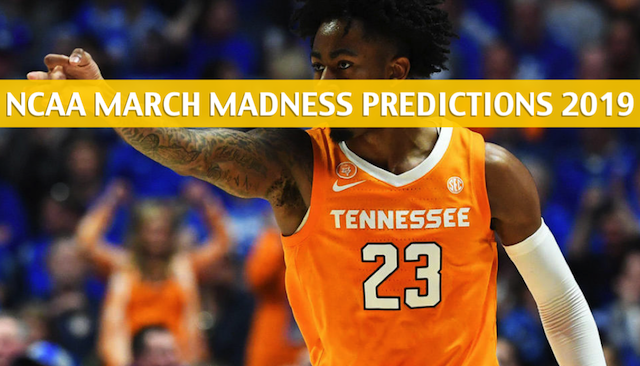 The over is 5-0 in Tennessee’s last five games, and is 17-16-1 ATS overall on the season.